Rockstar’s upcoming and the most anticipated game of 2018 Red Dead Redemption 2 is a few months away from its release, so the developers have released a brand new gameplay trailer of the game. As promised, the new gameplay trailer has been rolled out, showing the in-game world, gameplay mechanics, rivalries and much more. The developers have revealed previous trailers of the game which were mostly around 2 to 3 minute long, while the new one appears to be a detailed gameplay video, highlighting details on the beautiful game world, mountains, forest, deserts and much more. Rockstar has proved that they are capable showcase such a rich game world with a great story line in the past and with this upcoming title, they have proved their excellence in the narrative storytelling. 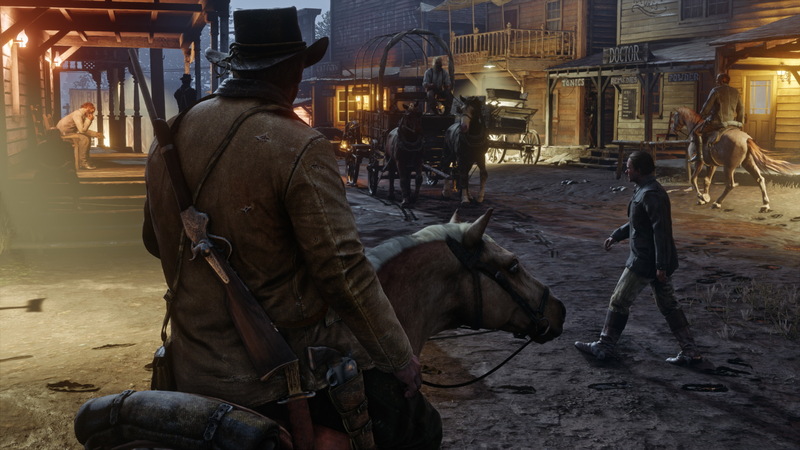 The Red Dead Redemption 2 serves as a prequel of the first game in the franchise, set in America of late 1890s and focuses on the story of Arthur Morgan, leader of a gang involved in bank robbery. There are more activities for the players to perform, such as hunting and the close-quarters combat system. The game is set for launch on October 26th, 2018 for PS4 and Xbox One, while the release on PC platform is not confirmed, nor denied. Stay tuned for more updates!